← Waitrose – mining a rich seam of service? A few posts back I made some comments about farm shops and shops on a farm. The response directly to me was fascinating. Which is how I came to spend a day last week in Fife – and no, contrary to some of my colleagues views of the Kingdom, I was not kidnapped or held against my will. Instead I spent a fruitful day looking at varieties of farm shops in the vicinity of Cupar (itself a market town of some interest). Starting and finishing at the excellent Fisher & Donaldson bakery/coffee shop in Cupar, we spent time in four different farm shops and had great conversations and discussions about farm shops, authenticity, localness and its meaning and business generally. So what did I learn or conclude? There are first-class businesses out there run by passionate people with love of what they do, the produce they grow and the place they are in. They deserve to succeed. Perhaps this is not new, but seeing these, sometimes hidden, gems reinforces the point. Farm shops span a huge variety from the authentic, this farm only, approach, through to the shop on a farm with mainly bought in product, whether local, national or even international.We should not decry any of these, as they all have some degree of local in them, most certainly local employment and they appeal to different groups of consumers and visitors. These farm shops need to tell their stories; about the place, the produce, the rhythms of life on the farm/land and the excellence of what they do. Not all do this well enough or consistently enough yet. And we need to link these shops up to engage those who want to seek out this variety and difference. This also requires the (council) authorities to help promote these great resources on their doorstep, and not to hinder them. 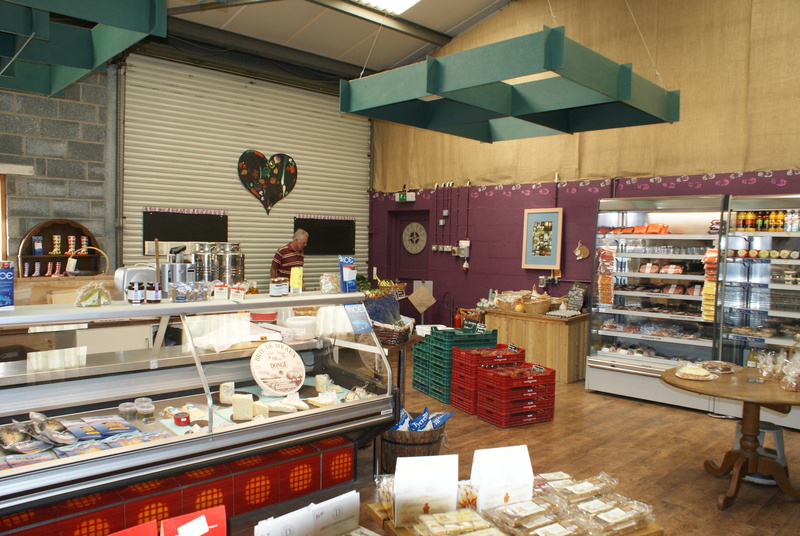 People use (and love) the farm shop for various reasons, but mainly because they are meeting places for food, coffee and in some cases localness. They provide learning experiences and a sense of exploration of our natural larder. They are far more than simply a place to buy stuff (as good as that may be). Some of the produce was exceptional – in quality, price and in environmental terms. Good seasonal, local produce, grown or produced on the farm, with no food miles and often at a price cheaper or comparable with large stores. What is not to like? We need to get closer to seasonality and authenticity of product. We have to cherish and promote our produce and our heritage of great Scottish food. 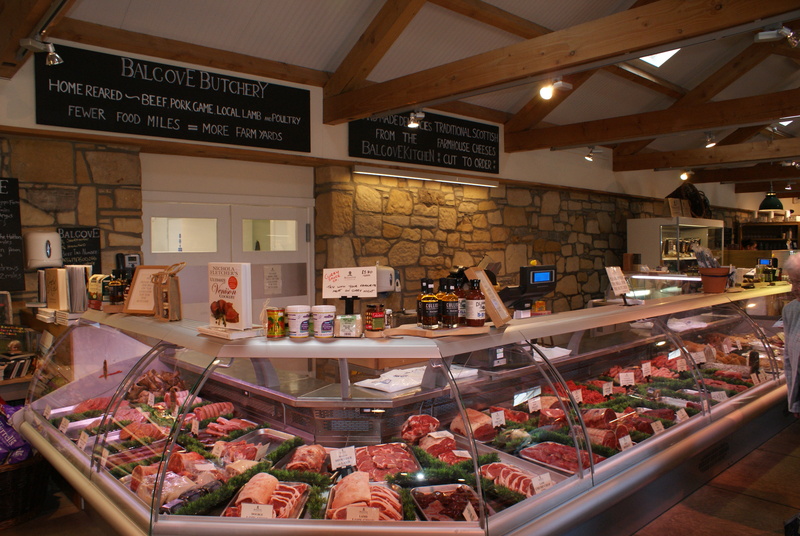 Farm shops are one element of this (we will return to farmers markets at some time). Get out and try them soon – hopefully you will be pleased and inspired by what they are trying to achieve. Thanks to all for the time, discussion, coffee and fruit! 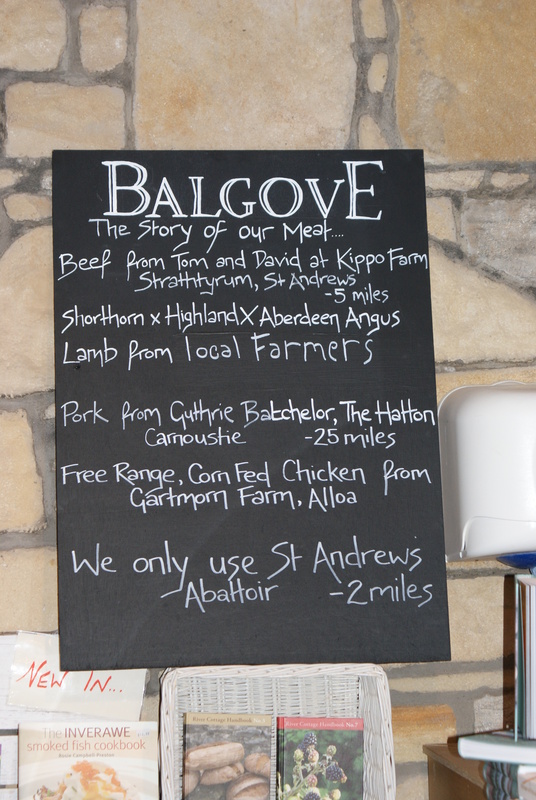 This entry was posted in Consumers, Farm Shops, Farmers Markets, Food, Food Tourism, Retail Economy, Slow Food and tagged Authenticity, Farm Shops, Fife, Food Tourism, Fruit, Meat, Quality. Bookmark the permalink. 2 Responses to Free the Fife One! 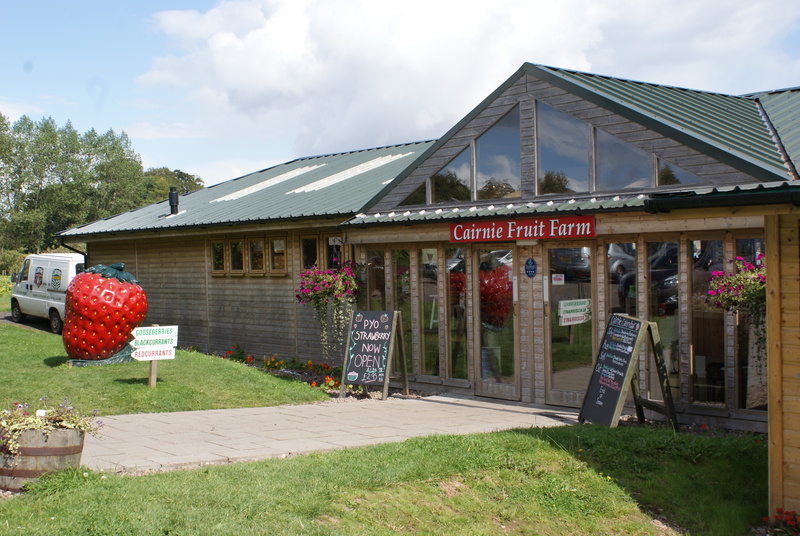 So good to read of an interesting and informative visit to Fife’s Farm Shops. We have so many champions of local produce but best of all is the produce itself. At Elmwood College we are trying hard to support this dimension of the Fife Economy as we, in addition to everything else we provide, develop production horticulture. We hope that others will also see us supporting the food network and that we bring enterprise to the equation. We just long for the day when our own farm is opened as a rural business incubation space for artisan or simply produced food. 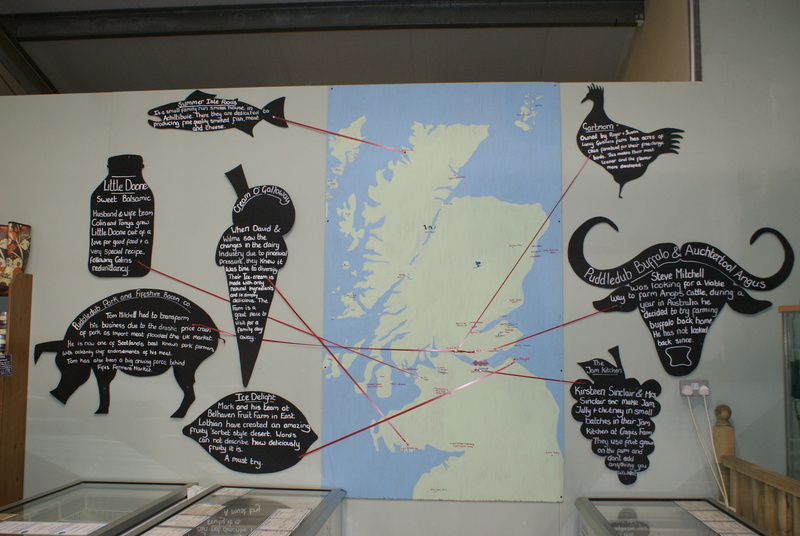 Thanks for profiling the role of food in Fife and the centrality of the local farm network! Thanks for the comment. Scotland has some great produce and great places and we really need to make the most of them. I know it is Scotland’s Food and Drink Fortnight (see http://www.scottishfoodanddrinkfortnight.co.uk/) at the moment and there are some great events being held, but we really need Scotland’s Food and Drink to be the main event all the time.